Melissa Sharkey was born and raised in Lubbock, Texas, with a devotion to God, her husband, Chris Sharkey and their two daughters. Passionate about real estate, Melissa will go that extra step to help anyone in finding that perfect home for the whole family. Melissa is involved with several non profit organizations and is always willing to help in the community. In her free time, she enjoys time with family and friends, hanging out at the lake and listening to live music. 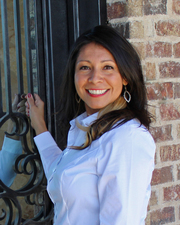 Grateful to be in Lubbock selling real estate with an awesome group of people, three word you can count on from Melissa- Honesty, Integrity and Commitment.